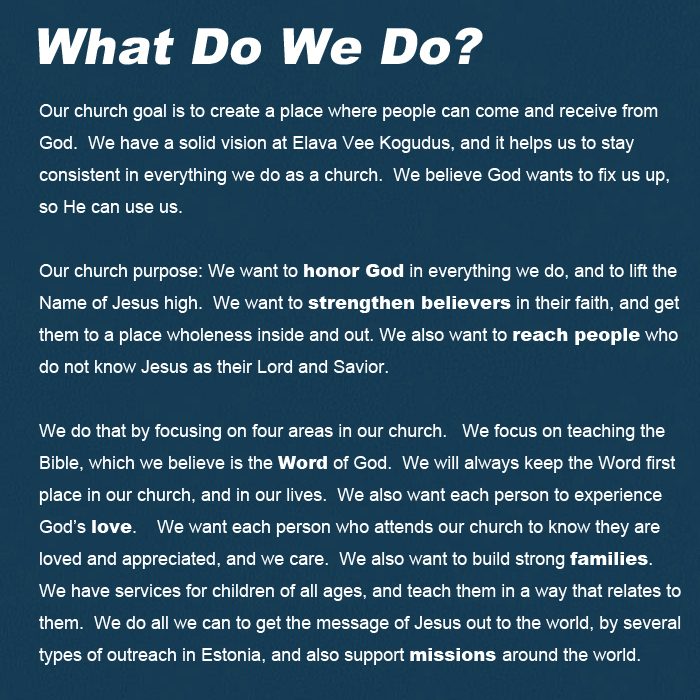 Thank you for visiting our webpage, and taking the time to find out about our church. 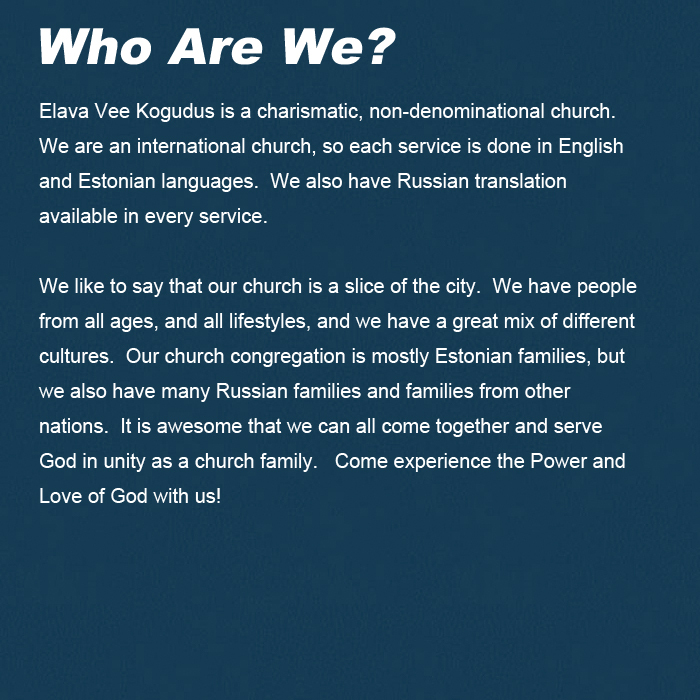 Elava Vee Kogudus (Living Waters Church) is an international church in Tallinn, Estonia. 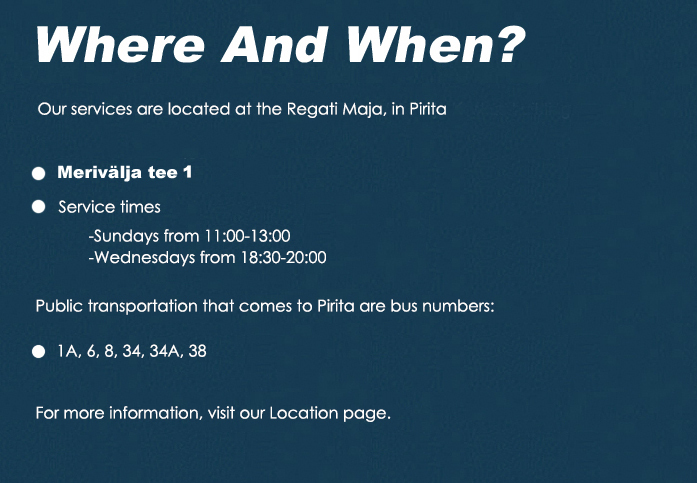 We meet each week in the area of Tallinn called Pirita. We invite you to check out what our services are like under Media, then come and experience our church service in person. We are waiting for you! 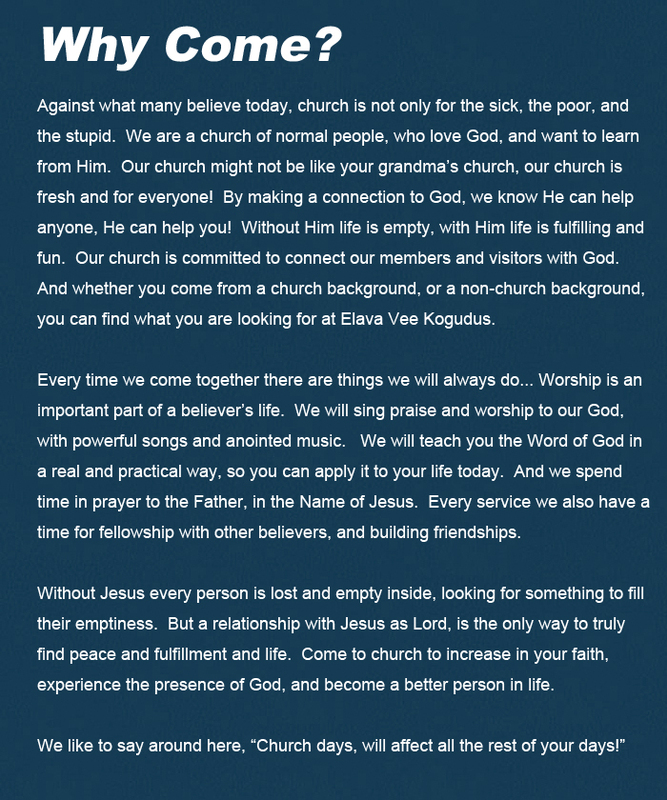 Click on the buttons below to find answers to some questions about Elava Vee Kogudus.